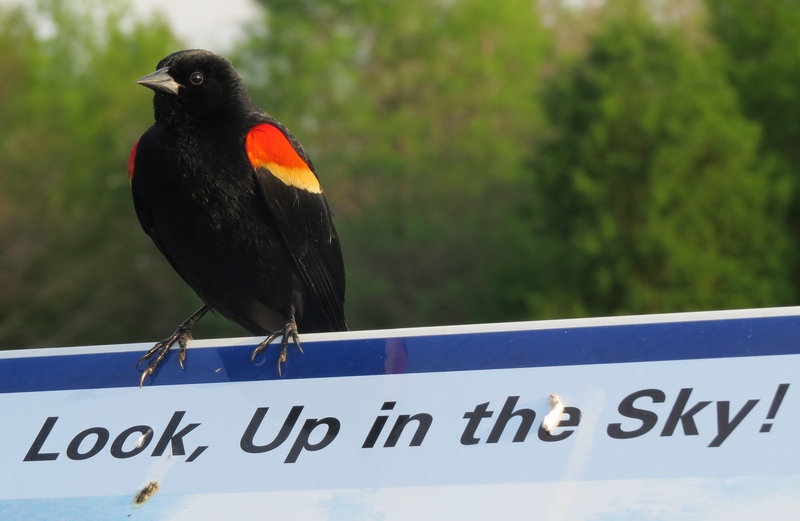 This Red-winged Blackbird provides a great service to passersby by pointing out this large sign! This entry was posted in Birds and tagged Red-winged Blackbird. Bookmark the permalink. Interesting sign – a bit like Kingfishers sitting on a “No fishing” sign!